Looking for unobstructed panoramic mountain views? 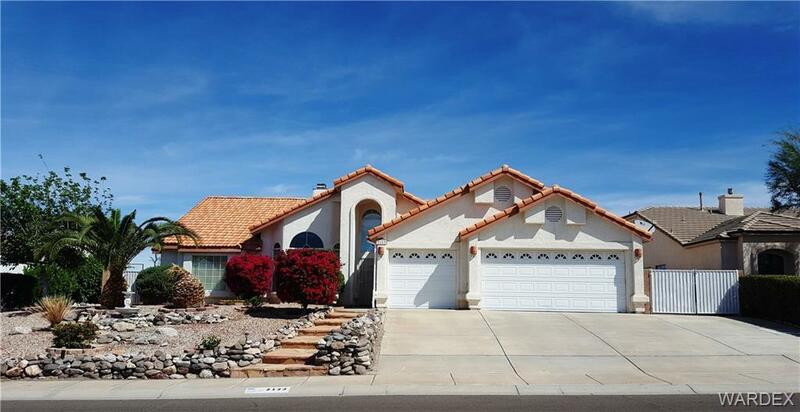 If so, come check out this beautiful move in ready home located in the sought after Arroyo Vista Estates Community. This open concept split floor plan home has it all including 1,973 sf, 3 bed, 3 bath, large enclosed AZ sunroom, as well as a backyard spa. This home's features include: large master bedroom w/ walk in closet, dual sinks & jetted tub, solid surface counters in the kitchen, casual & formal dining areas, 3 sided gas fireplace, & back yard patio sitting area. If you are need of space for your toys, this home is equipped with a 3 car garage with 1/2 bath & built in cabinets, as well as a 10' x 55' paved rv/boat side yard storage area. The Arroyo Vista Community comes with a fantastic community pool & park area. Centrally located close to shopping, schools, & dining. SET UP YOUR SHOWING TODAY!